Certain integrated applications require a user account with API access. 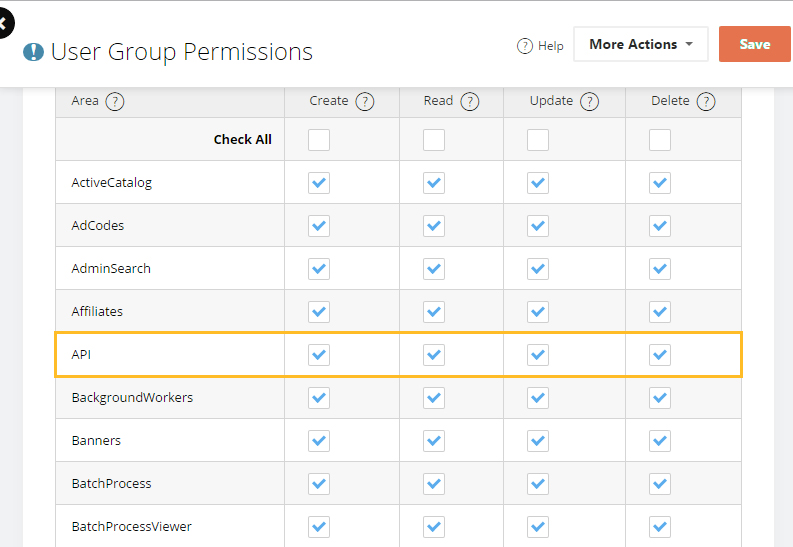 This article is a step-by-step walkthrough on how to create and add a user to a group with API permissions. Give the user group a name. The name can be almost anything, but "API Users" would be a good choice. In the permissions grid, go ahead and check all four boxes. Give the user account a username, email address, and password*. These are required. In the Member Of grid, place a check next to the user group you created in step 1. * If a person will be using this user account and you would like them to have a confidential password, check Force Password Reset to force them to reset their password the next time they login.